Lilit Martirosyan made history on April 5th as the first transgender Armenian woman to address the country’s parliament. Her unprecedented speech in front of lawmakers was powerful, honest and commanding. Mr. Artenyan should know that homosexuals in Armenia have not increased. Rather, they are finding the courage to speak up, take up space and demand the right to exist. 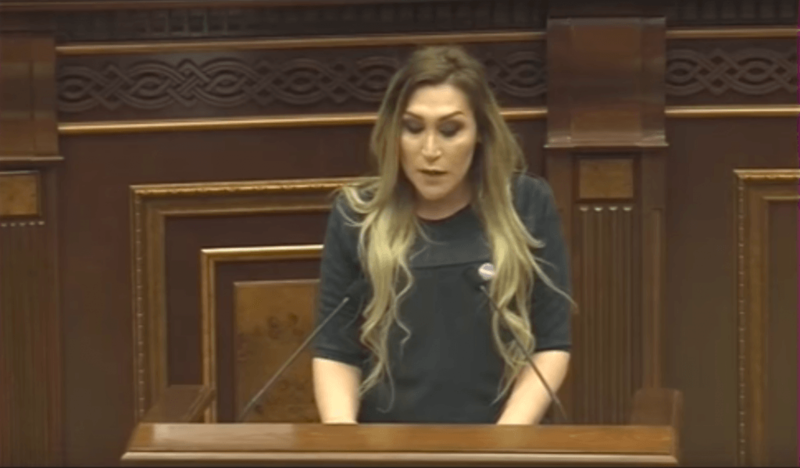 LGBTQ Armenians are tired of being treated like second-class citizens, their lives threatened and openly discriminated by those they elected to protect them. If Mr. Artenyan wants to cleanse Armenia, he should look closer in his own environment where corruption, fraud, and sexual misconduct are rampant. Predictably, Nikol Pashinyan failed to be the Prime Minister of all Armenians by displaying his weak leadership. Instead of condemning homophobic and transphobic hate-speech, he resorted to rhetoric and mudslinging to defend his administration against the opposition. Often we don’t know the heroes among us until much later when they have endured pain, suffering and the challenge of carrying the burden of their community. We wait too long to realize their sacrifices, exceptional character and resilience. 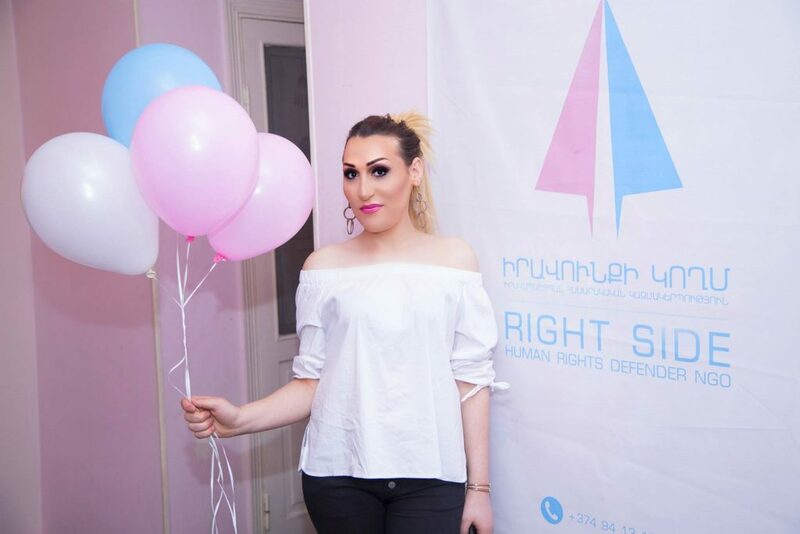 Until the dust settles, hypocrisies are revealed and true leaders emerge, Martirosyan will go down in history as the Joan of Arc of Armenia’s trans and larger LGBTQIA movement. Mr. Artenyan, Prime Minister Pashinyan and all those who are equally transphobic and homophobic, LGBTQIA Rights Movement is about this: THE RIGHT TO BE AVERAGE.